With Manchester United drawn against Barcelona and an all-English tie between Manchester City and Tottenham, Liverpool will face the team they knocked out in the last-16 stage last season by a 5-0 aggregate score. Liverpool have never lost a European match against Porto in six games. But Casillas, who has won the competition three times with Real Madrid, warned his current side are capable of matching any team left in the competition. 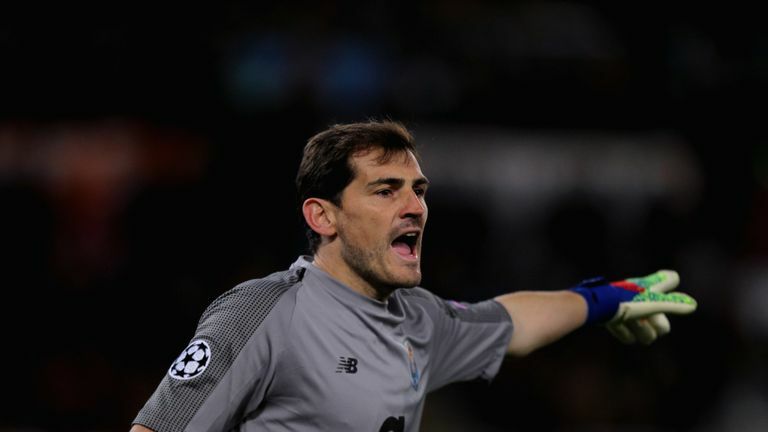 "We do believe we can go through to the next stage," Casillas said, after confirming he will end his career at Porto following the end of a new two-and-a-half-year deal. "That is our mentality. There is no other possible thought. "It is not a tie between a big and a small side. And we should not look back to what happened last season when they knocked us out of the competition. "We have a huge respect for Liverpool and every other club involved in the Champions League. But I believe the other teams also respect Porto. They should know we have top players capable of facing any other side. "However, the immediate priority for us is the league. We want to win it again, so we have to face it as a priority now. "Then, when the Champions League comes back around, I'm sure that the manager, my team-mates and I, will do everything possible to reach the next round."